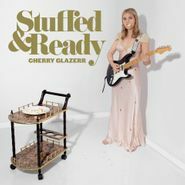 Cherry Glazerr’s excellent Stuffed & Ready showcases the LA trio’s evolution from their garage rock roots into an eclectic, accomplished group that navigates post-punk, dream pop, and power chord-heavy indie rock with ease. Lead single “Daddi” is a satirical, biting response to patriarchal culture set to a dark, moody post-punk melody. “Wasted Nun” is a variation on the theme played out over bouncy big riffs—you could party hard to it, if you weren’t listening too closely to the smart, defiant lyrics. (Hell, perhaps you could anyway, if it was that kind of party.) “Pieces” is hazy, dreamy, and lush. Early as it is in the year, Stuffed & Ready stands out as one of the best records of 2019 so far.